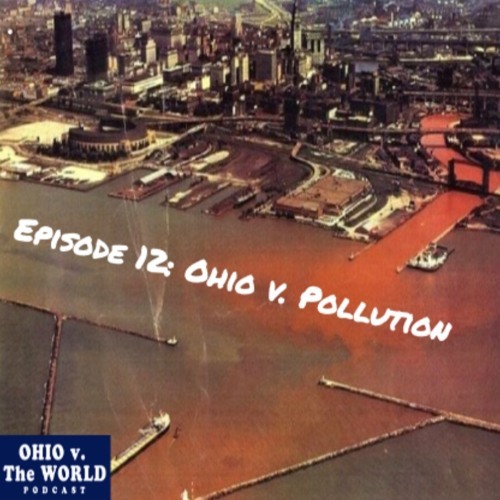 Episode 12: “Ohio v. Pollution” (Cuyahoga River Fire). Alex sits down with author and professor Dr. David Stradling to discuss the infamous Cuyahoga River fire of 1969. We analyze Cleveland’s role in the modern environmental movement by discussing David and Richard Stradling’s book, Where the River Burned. https://www.amazon.com/dp/B00UBWLHKO/ref=dp-kindle-redirect?_encoding=UTF8&btkr=1 We look at the causes and sources of the absurd pollution of Lake Erie and the entire Northeast Ohio region. We ask Dr. Straddling if the burning river is responsible for the creation of the EPA in 1970 and the Clean Water Act of 1972. Stradling discusses the role of Mayor Carl Stokes in the cleanup efforts in Cleveland and why the burning river had such a profound effect on the world. Alex and David look at the mythology surrounding the river fire and many of the untruths that have permeated the consciousness of Clevelanders and its national perception in light of the fire. On this episodes’ Ohio History Connection Minute we are joined by Jen Aultman of the OHC and John Hancock from World Heritage Ohio. Jen and John lay out the efforts to place the Hopewell Ceremonial Earthworks on the United Nations’ World Heritage list. (30:00) Ohio v. The World is supported by our friends at GoBus! Go to www.ridegobus.com for a list of cheap rates and routes around the Buckeye State. Rate and review the show on iTunes and LIKE US on Facebook https://www.facebook.com/ohiovtheworld/.